A holistic approach and transversal skills: thanks to the experience that we have gained in various economic sectors, our market coverage is completely transversal. A multi-disciplinary approach: our Team of researchers has expertise in sociology, psychology, economy, marketing training and comprehensive consultancy. Unique, innovative methodologies tailored for every need: our IT Team creates specific, practically handmade software for every request. A pro-active approach towards providing complete consultancy to our customers, integrating skills, methods and knowledge. A relationship of trust and mutual satisfaction: our Senior Account Managers are always on-hand to support our customers, allowing us to grow together. Thanks to our team of professional Researchers and an extensive network of interviewers, Selexi is the ideal partner to allow you to learn about and understand the social, economic, marketing and communication procedures of various corporate and institutional organisations, in order to carry out research about the brand, its reputation and internal business environment, designed to monitor quality and to assess customer satisfaction. Additionally, Selexi designs and produces various types of research at an international level, leveraging its collaboration with highly-qualified international partners. Qualitative research is characterised by its deep analysis and ability to identify and reveal "what lies behind" a statistic. The research focuses on the reasons behind a particular phenomenon or attitude. 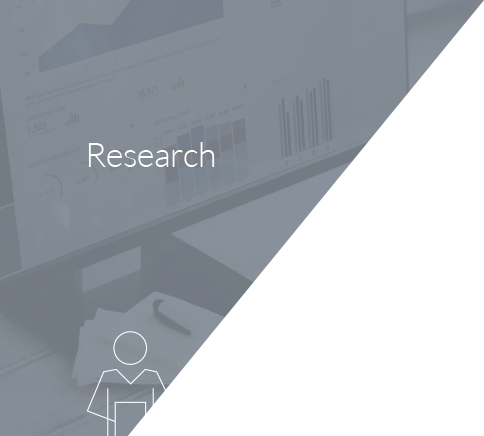 Qualitative researchers provide the customer with an overview of the insights (the most special and profound aspects) of what they are investigating, providing a comprehensive picture of the decision-making scenario in question. While quantitative methods answer the questions How many? When? and Who? qualitative analysis answers the questions Why? and How? Quantitative surveys allow you to investigate the questions How many? When? What? and Who? in a fast, effective and efficient way, by conducting interviews on a very large target within a limited time frame. Interviews can be aimed at a standard sample as well as specific targets, such as: end customers, consumers and non-consumers, target audience, users, business customers, human resources, etc. This type of methodology is particularly effective for detecting, storing and statistically analysing a large amount of information, using highly standardized research tools and processes. Through the use of a questionnaire (often structured as multiple-choice), this method can identify the opinions of both the potential/general public and the loyal public, in order to make comparisons between them. It can identify the macro-areas of the survey, the type of services/products that should be tested and the target audience of the survey. Particularly suitable for measuring customer satisfaction (particularly among institutions and organisations), anonymous questionnaires can be used on a large scale throughout the country and are useful for measuring the views of members of the public who are not highly computer-literate or interactive (typically older consumers) and to detect any resistance that might emerge in the interaction between interviewer and interviewee when using traditional quantitative methods. A type of research that allows companies to anonymously measure and evaluate the quality of their services, procedures, staff behaviour, merchandising and products, by sending so-called Mystery Shoppers to their company premises, shops or places where the company's services are provided, posing undercover as customers/consumers/users proceeding with the normal experience of use/purchase of a product or service.